Looking for a good laugh? There are plenty of movies from the 21st century to choose from – BUT – if you like comedy, these five classic movies are guaranteed to make you laugh out loud! Admittedly, most movies from the classic era rely heavily on slapstick comedy which usually comes off as corny to comedy fans of today. Gen X on down has been raised on comedy that pushed the envelope to the limit. This jaded crowd doesn't tend to see much humor in a bumbling buffoon stumbling over his own feet - unless he's drunk! Well these five classic movie comedies are not like that…for the most part. Out of all of the comedies of the 30’s, 40’s, 50’s and 60’s, these are the funniest you will find that are guaranteed to crack you up. Even if you are not a classic movie fan, you can’t help laughing out loud at these top 5 comedies! 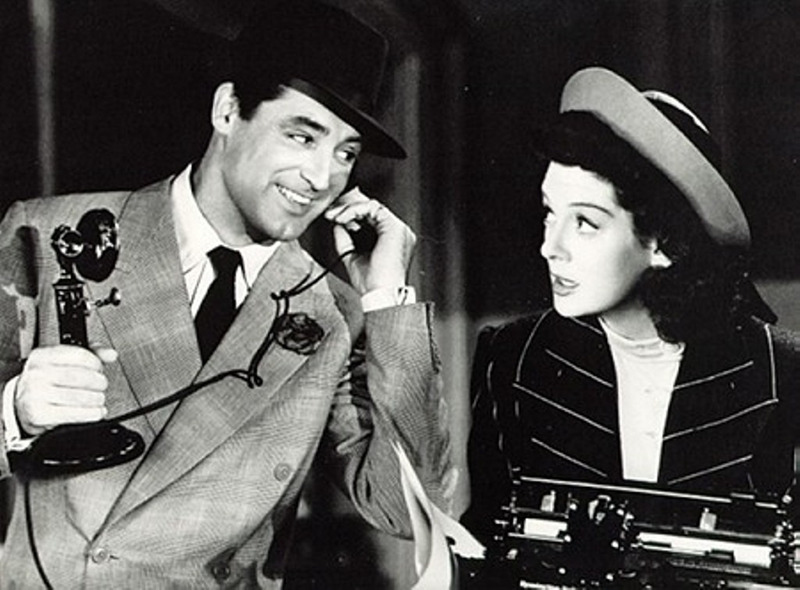 Coming in at number five is the classic comedy His Girl Friday starring Cary Grant and Rosalind Russell. This movie has been remade a number of times, but no one can out act the always beautiful and hilarious Rosalind Russell as a NY beat reporter who decides to quit the newspaper business to marry and settle down. Her ex-husband and editor Cary Grant, however, does everything he can to keep her from leaving the paper (and him). He constructs a plot to lure her with a hot lead that she cannot resist pursuing. Nothing but pure situational hilarity ensues. Zorro the “Gay Blade” is stopped by authorities while standing in front of his own wanted poster. Zorro, The Gay Blade is a bit of a cheat since it was released in 1981 - in color, but it makes the list for a generation that considers early 80’s movies classics. Starring George Hamilton, this movie is not a well known classic comedy but should be. 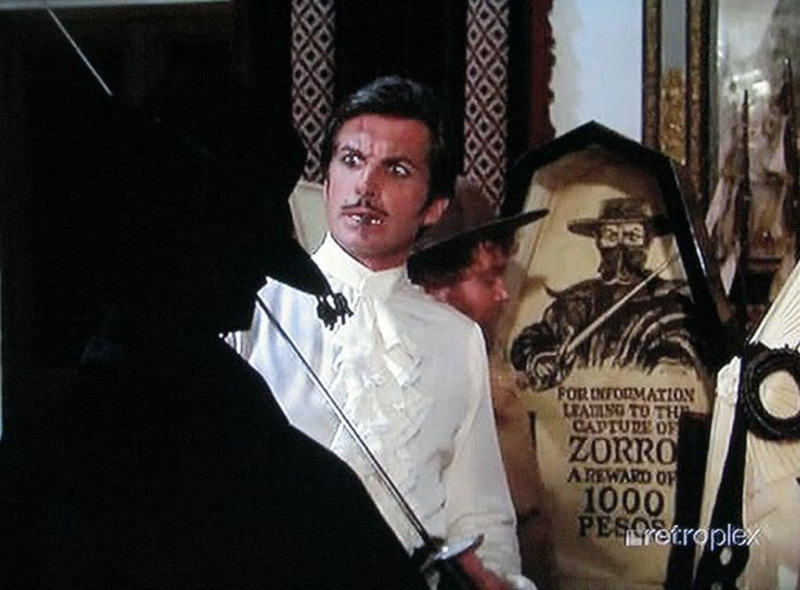 When George Hamilton playing the character of Zorro gets injured, he enlists the aid of his effeminate twin brother (also played by Hamilton) to impersonate the gallant hero while the real Zorro recuperates. It may not be the most politically correct portrayal of a gay Zorro, who by the way is only gay in his mannerisms and is never shown being attracted to men; it is nonetheless comedy at its finest! Charlie Chaplin as “the Great Dictator” released by Charles Chaplin Productions (1940). The Great Dictator ranks at number three as the all time greatest classic comedy though it is arguably the best comedy of its time. Written, produced, directed, and starring Charlie Chaplin, this film is unabashedly political at its core. 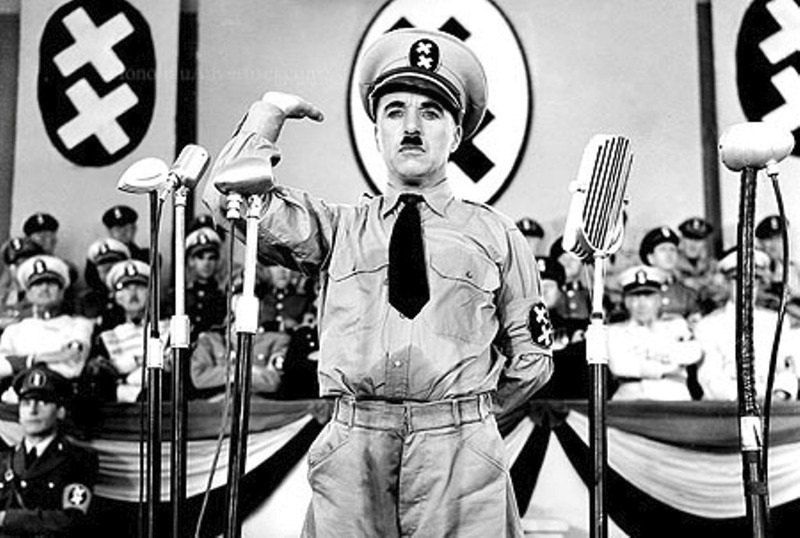 Using comedy to confront the most egregious and dangerous villains of all time, Charlie Chaplin irreverently mocks Hitler and the Nazi Party. In one of the boldest films made during the rise of Nazi Germany prior to the attacks on Pearl Harbor, The Great Dictator does more than confront the cruel absurdity of Nazism. Chaplin ridicules Hitler in every single way as he plays two roles; a coquettish barber recovering from amnesia after a head wound suffered in WWI and The Dictator of Bacteria who is a caricature of Hitler. It is incredibly funny yet deeply poignant at the same time. Tony Curtis (Left) and Jack Lemmon (Right) find it hard to concentrate on music while ogling the voluptuous Marilyn Monroe. 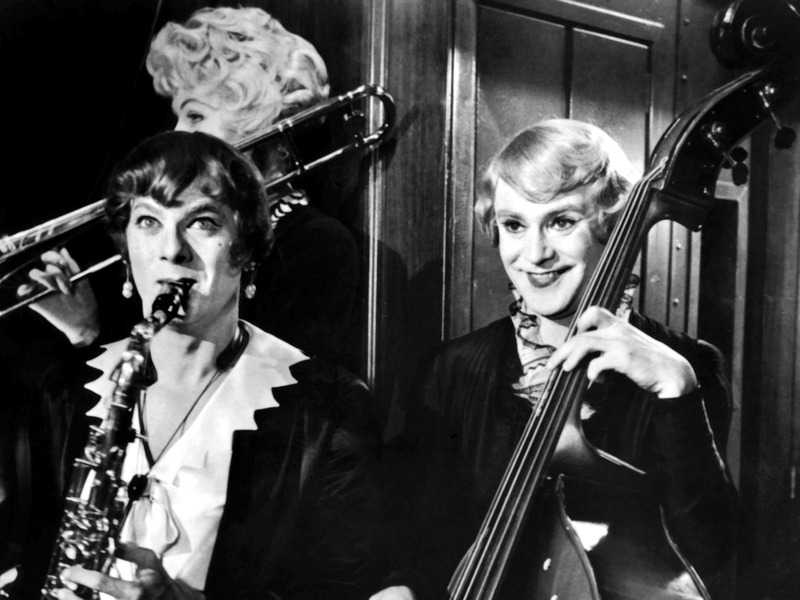 Even if you have never seen Some Like it Hot, you have likely heard of it and no doubt are familiar with the names of the movie’s headliners: Jack Lemmon, Tony Curtis, and Marilyn Monroe. This classic comedy from 1966 is a hysterical gender bender film in the same vein as Tootsie and Mrs. Doubtfire, but much funnier. Tony Curtis and Jack Lemmon are on the run from gangsters after witnessing a “Valentine’s Day Massacre” style shooting in a garage. They disguise themselves as female musicians to get away, and then immediately land a gig with an all-female jazz band that's on their way to Florida. On the bus to Florida, Tony and Jack meet Marilyn Monroe - a fellow musician who catches both of their eyes. Their efforts to try to maintain their disguises while competing for the voluptuous Marilyn Monroe is comedic gold! 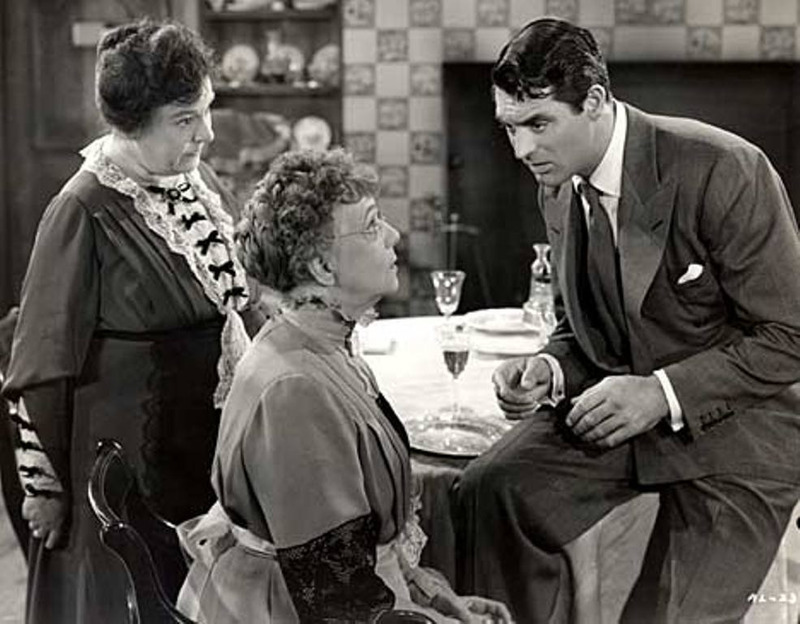 Mortimer (Cary Grant) and his Aunts Brewster in “Arsenic and Old Lace." And coming in at the top of the list is Arsenic and Old Lace, also starring Carey Grant. This movie is star-studded with top actors from the 30’s and 40’s including Peter Lorre, Boris Karloff, Jack Carson, James Gleason, and Edward Everett Horton, just to name a few. But it was the unforgettable performances of Josephine Hull as Aunt Abby Brewster, Jean Adair as Aunt Martha Brewster, and John Alexander as Teddy “Roosevelt" Brewster who steal the show! When Cary Grant’s character, Mortimer, comes to visit his aunts before going on his honeymoon, he discovers an unimaginable secret about his dear sweet old aunts. In his effort to help them, he shows off his comedic chops for outstanding physical comedy. Arsenic and Old Lace is truly a must see and easily tops the list for the best classic movie comedy of all time!